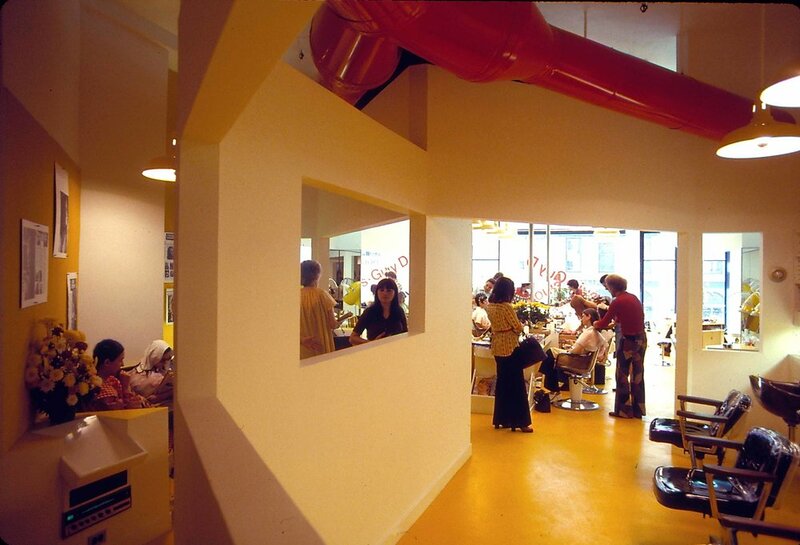 The beauty parlor was designed to fit into an existing "L" shaped space on the second floor of a midtown office building. 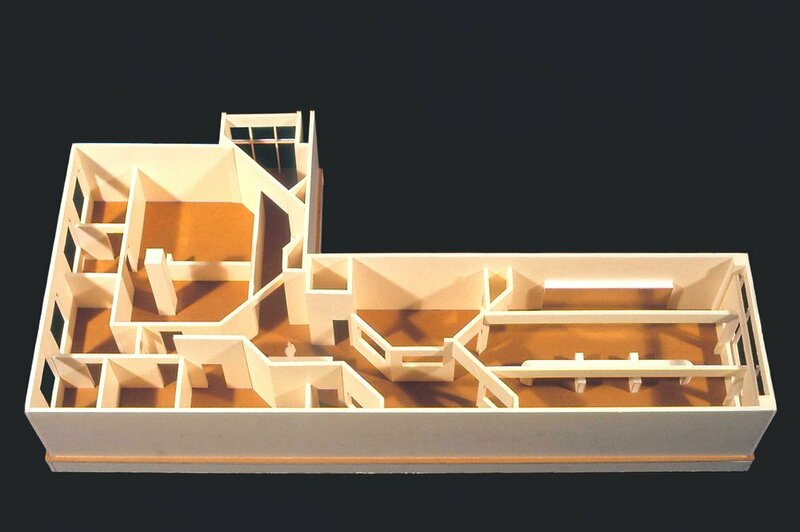 The layout was dictated by both the existing entry location and the necessary circulation pattern through the various work stations. A sense of spatial expansion was created by cutting large openings into the walls. 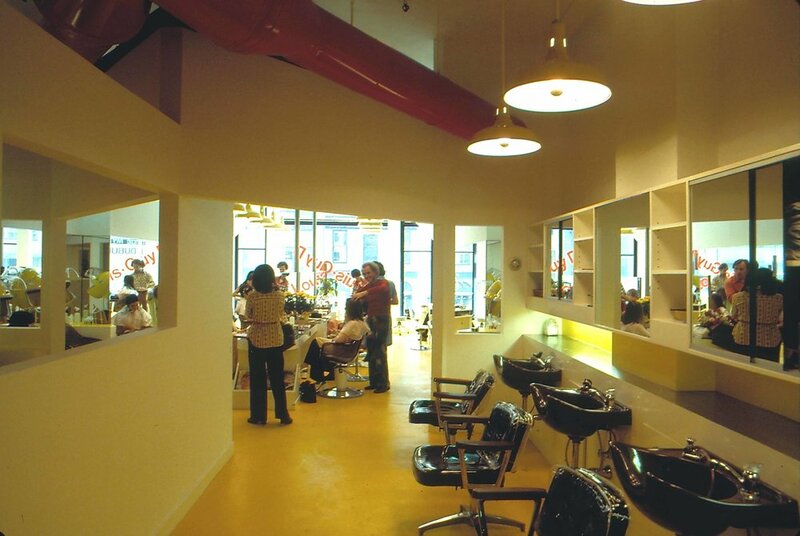 The central "stage" of the shop, was made to feel busy and full of activity by the numerous mirrors that reflected and re-reflected the customers.